Deneale's Point! : Red Heart & Red Heart Love Yarn Brands! Red Heart & Red Heart Love Yarn Brands! 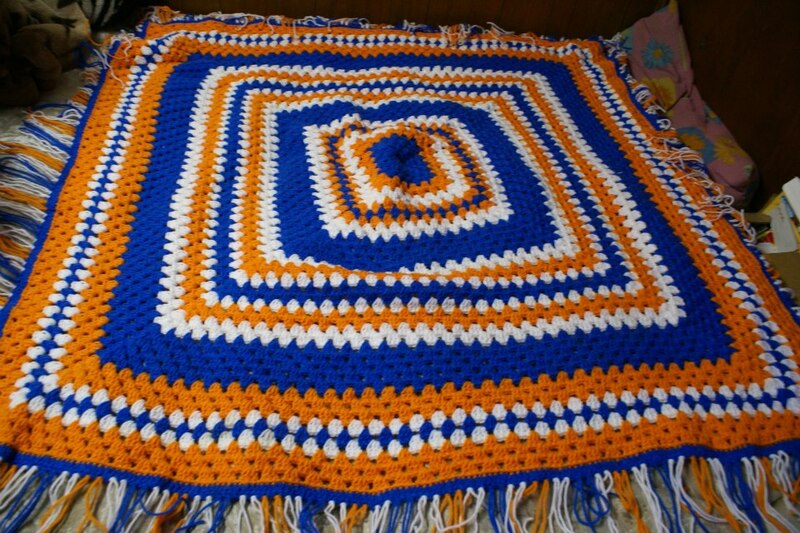 I grew up with a Mother and Grand Mother and several different Great Grand Mothers who crocheted. 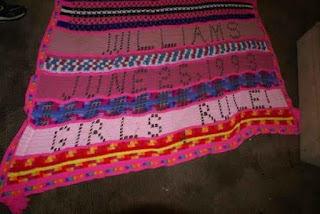 Everywhere you looked there was yarn, and on going projects, to me- that is normal. 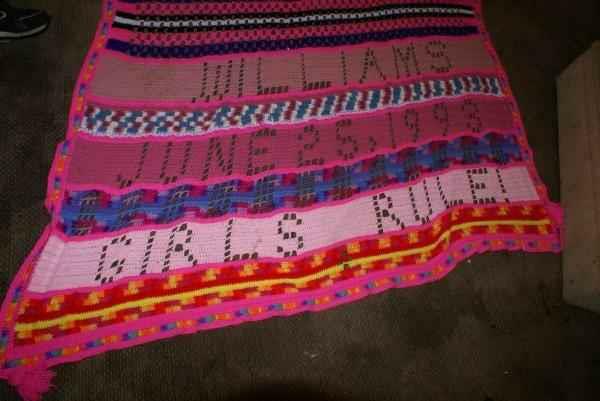 YES I spelled within my crochet! MY own design! Photo & design by ME! But that is not the moral of this entry, today. The moral here is yarn. 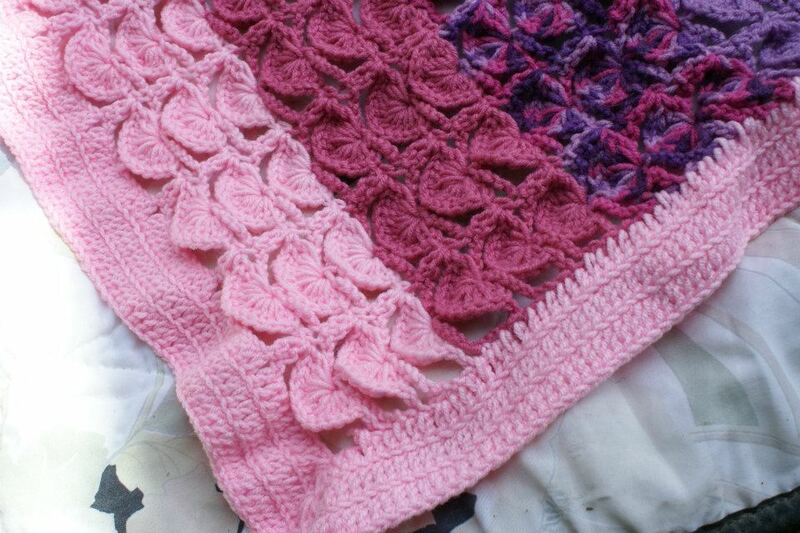 I have found myself to prefer 'Red Heart' yarn over all the others. And recently, I guess recently, 'Wal Mart' started carrying a new brand of 'Red Heart' called 'Love.' I accidentally found it when I needed a certain and specific color to match what I was doing. The thing that disappointed me about the 'Red Heart Love' brand what it cost me almost a dollar fifty more. 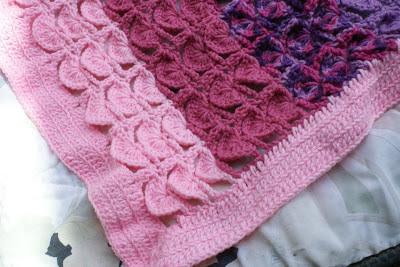 Call me cheap, but to sell ones crafts, one is not going to get the labor and the yarn out of their projects, trust me! According to 'Hobby Lobby' 'Red Heart Love' has been out for quite sometime, 'Wal Mart' does not keep associates in the Craft section, specifically anymore. They in fact, rarely order properly and run out of colors frequently which is also disappointing. 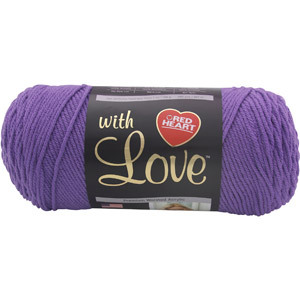 The plus side to 'Red Heart Love' yarn, I found, it is softer. Their colors are prettier, and what not, but again- like I said, more costly. Crafts are some what of a dying breed, which is also why I don't understand why their prices keep going up too, to buy the products to make things yourself. 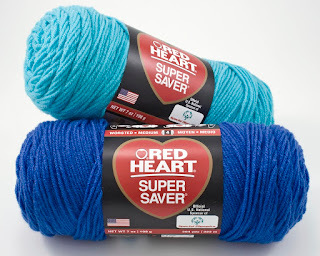 However, I want to give a thumbs up to 'Red Heart' yarn, both original and 'Love' they do not unravel and fall apart, they survive washing and drying, and always look good and are easy to work with. I give the products on my scale of one to five, a five. A perfect five. I just wish they could cost less, honestly. I give 'Red Heart' original a four on price, and regret to inform you that I give 'Red Heart Love' yarn a three on pricing. Even if it is priced higher because it is a limited dye lot, or softer, I don't care. It doesn't need to cost more, not an entire dollar and a half! I will continue being faithful to 'Red Heart' yarn, there is no better choice! Thank you 'Red Heart' please bring back the lavender, deep purple and white variegated! I am begging! I will buy gallons upon gallon of it! 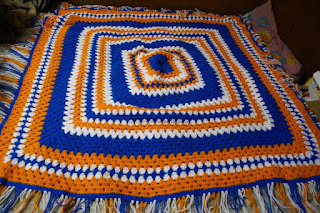 Chinese Fan Stitch & double crochet border made by ME photo courtesy of ME! Thank you 'Red Heart' from looking through my Grand Parent's and Mother's yarn collection, you have been around for quite sometime! It does me proud to continue to support a great product!